Hopefully, you've never had to deal with a student in crisis, but there might be a time when you do experience this in your classroom. What does it mean when a student is in crisis? Basically, the student has reached a point where they are no longer in control of themselves and they might be throwing, hitting, kicking, biting, cursing, spitting, yelling, hair pulling, etc. This is not a fun situation to deal with AT ALL! I've had a difficult student this year that became physically aggressive. 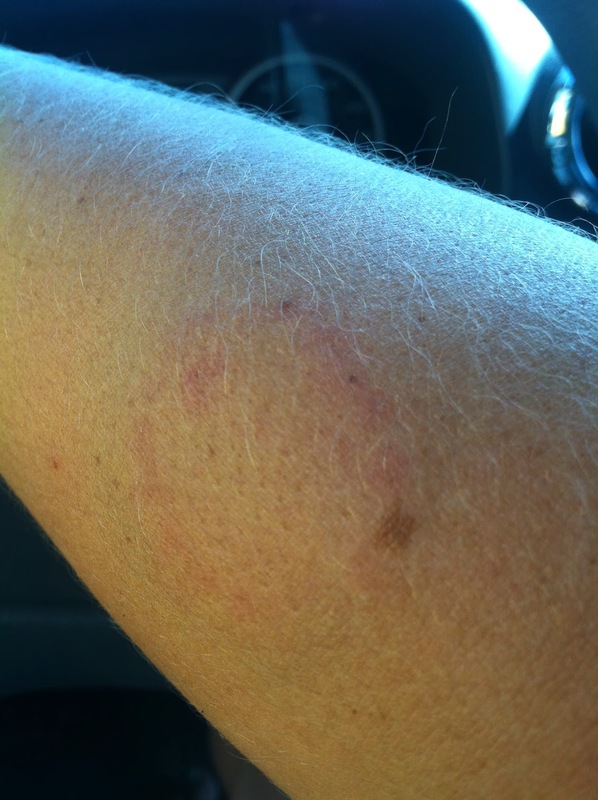 Here's an example of one of the bites I received this year. So here are some tips to help you deal with a student in crisis, but I'll be keeping my fingers crossed that you never need to use any of them! 1. Safety is the most important concern when a student is in crisis. That means making sure all the other students, the student in crisis, and the staff members present are safe. One of the easiest ways to keep the other students safe is to remove them from the room. They need a designated place to go that will remove them from the student in crisis. Maybe that place is another classroom across the hall, the library, the office, somewhere. If you are dealing with a crisis situation frequently, I would designate a special phrase or motion that tells your students it's time to leave the room. Practice with them when the student in crisis is not in the room. Say the phrase or do the motion, have the students immediately stand up and line up at the door and leave the room. Place a basket of books by the door and designate one person as the book basket person who grabs the books as they leave the room. 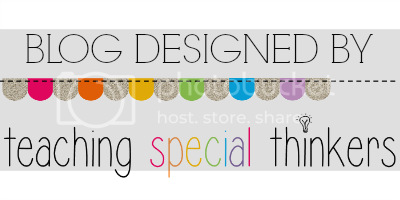 Then your students will have something to do that whenever they get to the designated spot. 2. Call for help! There should be a crisis intervention team that can help in this situation. You do not want to deal with a student in crisis by yourself. Maybe this person is your admin, guidance counselor, behavior interventionist, special education teacher, etc. You don't want to have too many people intervening with the student but you do want others that you can call on for help. 3. Decrease demands. Now is not the time to get in a power struggle and demand work to be done. A student in crisis is not going to complete the work. The main focus is to deescalate the crisis. Students can always finish missed work after the crisis is over (and they should do this). 4. Strategically place yourself to block exits. A lot of students in crisis will try to escape. You don't want a student running around the school in crisis. 5. If you are dealing with this type of behavior frequently, ask your district for some training. Most school districts provide some type of crisis prevention training, and this is very important for your safety and the safety of the student. 6. Try not to overreact. This can be soooo hard, especially if you're being spit on, bit, hit, cursed at, etc. Try to emotionally distance yourself from the situation so that you can remain calm and professional. It's ok to walk away and switch out with someone else. These situations can be physically and emotionally exhausting for you. 7. Afterwards, debrief the situation with the people present. Talk about what could have been done differently. What worked and what didn't work? Make sure all the team members are ok. If someone has been injured, make sure they receive medical care. You can get an infection from a bite even if skin is not broken. Take injuries seriously! 8. As part of debriefing, talk about what happened before, during, and after the crisis. What behaviors does the students exhibit before the crisis begins. Are there things you can identify as a warning signal to you? There is typically a pattern to a crisis. The student becomes agitated and frustrated. If you can intervene during this stage, you may prevent the crisis from happening. 9. Make sure to debrief with the student, also. Talk about what happened and identify what the student could do differently when they become agitated and frustrated. Do they need to ask for a break, take deep breaths, use a stress ball? If the student has destroyed the room, they need to clean up their mess after they are calm and the crisis is over. 10. Document, document, document. Make sure you document the incident. Try to do this as soon as you can after the crisis so that you don't forget what happened. Think about what happened before, during, and after the crisis and document it all. This paperwork can be very important if the student will be evaluated for special education services, a Behavior Intervention Plan is developed, or if placement needs to be evaluated. 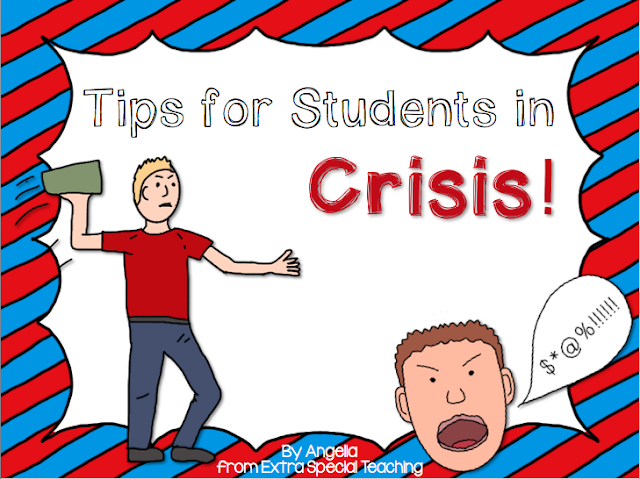 Do you have any other tips for dealing with students in crisis?